Our fourth issue of Pure Nintendo Magazine is now available for the first time in print! Our fourth issue received a new layout and was almost double the size of Issue 3. 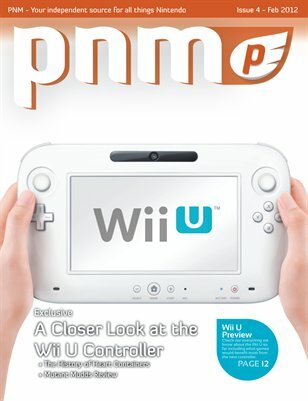 We had several exclusives including hands-on with the Wii U at CES 2012, a History of Heart Containers, a character profile on Fox McCloud, an in-depth look at the Wii U GamePad, reviews for Mutant Mudds and Mario Kart 7, and more.